A true story of murder and conspiracy that points directly to Vladimir Putin, by The Guardian’s former Moscow bureau chief. On November 1, 2006, journalist and Russian dissident Alexander Litvinenko was poisoned in London. He died twenty-two days later. The cause of death? Polonium—a rare, lethal, and highly radioactive substance. Here Luke Harding unspools a real-life political assassination story—complete with KGB, CIA, MI6, and Russian mobsters. 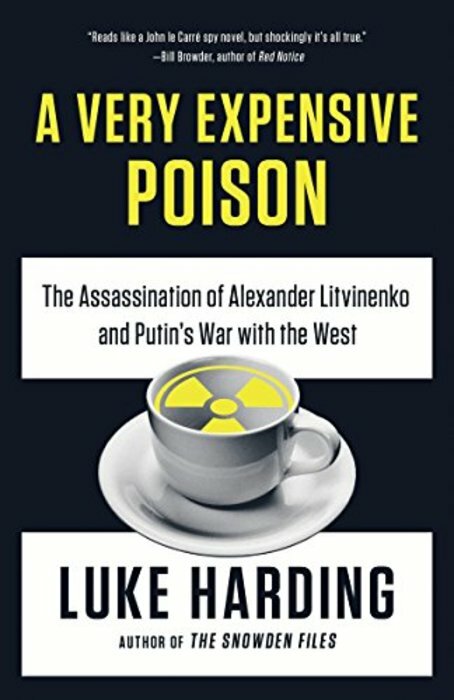 He shows how Litvinenko’s murder foreshadowed the killings of other Kremlin critics, from Washington, DC, to Moscow, and how these are tied to Russia’s current misadventures in Ukraine and Syria. In doing so, he becomes a target himself and unearths a chain of corruption and death leading straight to Vladimir Putin. From his investigations of the downing of flight MH17 to the Panama Papers, Harding sheds a terrifying light on Russia’s fracturing relationship with the West.